Five years after the death of her beloved husband Garrett (Ed Harris - Gravity, Gone Baby Gone), Nikki (Annette Bening - American Beauty, The Kids Are All Right) meets Tom, a man who who looks exactly like her deceased husband. Not only does Tom possess the same physical characteristics, but he also shares Garrett's kindness, humour, and passion for art. Suddenly, a flood of old feelings rush back to Nikki: she's met the love of her life. Again. As romance blossoms between Nikki and Tom, she finds she can't bring herself to tell him the truth about what drew her to him. But as their relationship progresses, it becomes not a question of if the truth will come out, but when. Featuring extraordinarily moving performances from the superb cast, including a supporting turn from Robin Williams (Good Morning, Vietnam, Good Will Hunting). 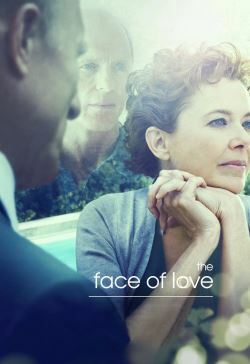 The Face of Love is filled with romance, humour, and reflections on the mystery of love surrounding us.